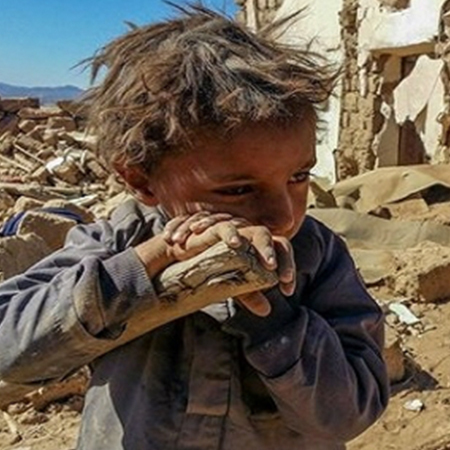 The Republic of Yemen, a country of 29 million people, is on the verge of collapse. With a rich culture and history that dates back thousands of years, Yemen is now caught in a civil war that has devastated its cities and left its people starving. In order to raise awareness of this tragedy and light a candle of hope, Georgetown University’s Walsh School of Foreign Service, The Laboratory for Global Performance and Politics and the Fund for the Future of our Children are producing a concert event featuring presentations by children, youth, and others, including journalists, elected officials and representatives of humanitarian organizations. Through music, dance, spoken word, and video presentations, the performers will celebrate the history, traditions and culture of Yemen. They will not only tell stories of sorrow and loss, but also offer messages of peace, hope and reconciliation. Performers and presenters will be encouraged to address the theme of “the children of the world stand with the children of Yemen” throughout the program. Speaking Truth is a documentary film and high school curriculum that help teach the necessary skills for young people to be change-makers for peace. A 2012 poll conducted by the Pew Research Center found that a third of all adults under 30 have no religious affiliation. As young people are bombarded by 24/7 media and the siren song of materialism, and as social disengagement is on the rise, what is filling this gap? What is providing the moral compass and courage that the world needs in its future leaders? Many young people are still searching, with open hearts and minds, for grounding and inspiration. They want to make a positive difference in their world, and they are capable of viewing the world in a new and different way from generations past. Using examples from the past and present, Speaking Truth seeks to help young people fill that gap, find grounding and courage that crosses traditional boundaries, and step into their roles as future leaders for peace.